Each day becomes a struggle when one lives on the street with no roof and no clothes. Taking strong note of the chilly weather of the city, we’re planning to distribute winter kits (includes blankets, jackets, inners and gloves) to the unfortunate throughout winters. 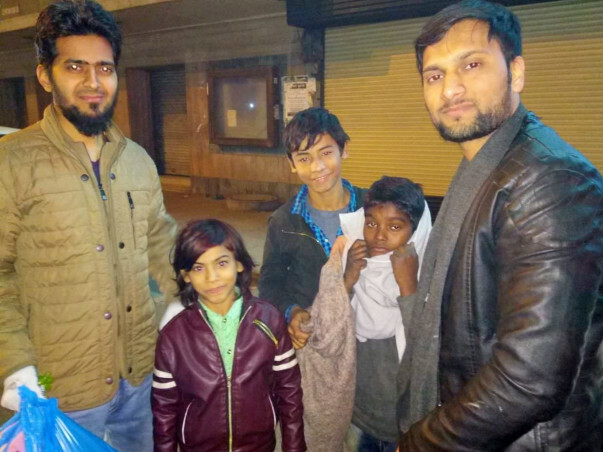 There’s no better gift than providing warm clothing to the needy during winters. This 2018, be a hero for the homeless. Please donate generously to bring a glimmer of hope to the lives of many. Your donation can save a child’s life, can protect a woman’s dignity and make a huge difference in the life of people. Donate now and become a part of the movement. There cannot be a bigger satisfaction than saving someone’s life. DONATE now and spread WARMTH! We will using the funds for "homeless People of Delhi" for distributing around 250 kits(including blanket, cap, inners, gloves and jacket). I wish me and my team can personally meet you all and say thank you to all. We will be distributing the kits(blankets and woolens) to homeless people of Delhi as we earlier updated by 26 jan and 27 jan. and also we planned to distribute the kits at near by old Delhi and chandni chowk and some other places also(as per the availability of kits). Remember us in your valuable prayers.